Human Femoral Artery Endothelial Cells, isolated from normal tissue, are cryopreserved at 2nd passage and can be cultured and propagated to 5th passage and beyond without losing their morphologic and phenotypic characteristics. 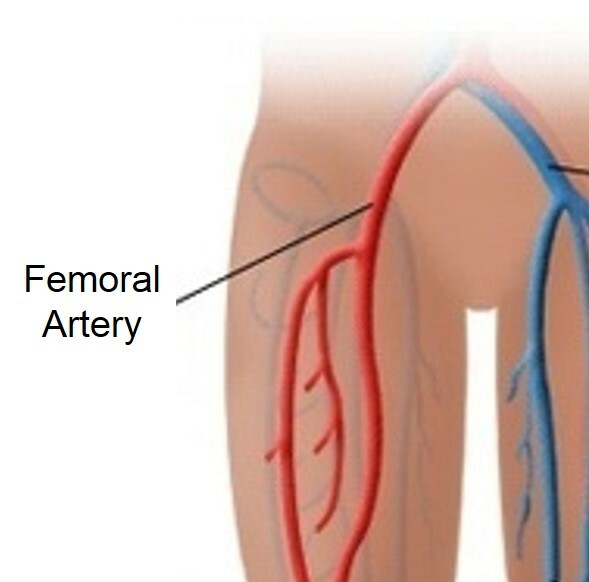 The femoral artery, a large artery in the thigh, provides the main blood supply to the lower limb. It can be palpated through the skin to obtain the femoral pulse, and is often used for catheter access. As the femoral artery is susceptible to peripheral arterial disease, HCAEC are commonly used to study atherosclerosis. 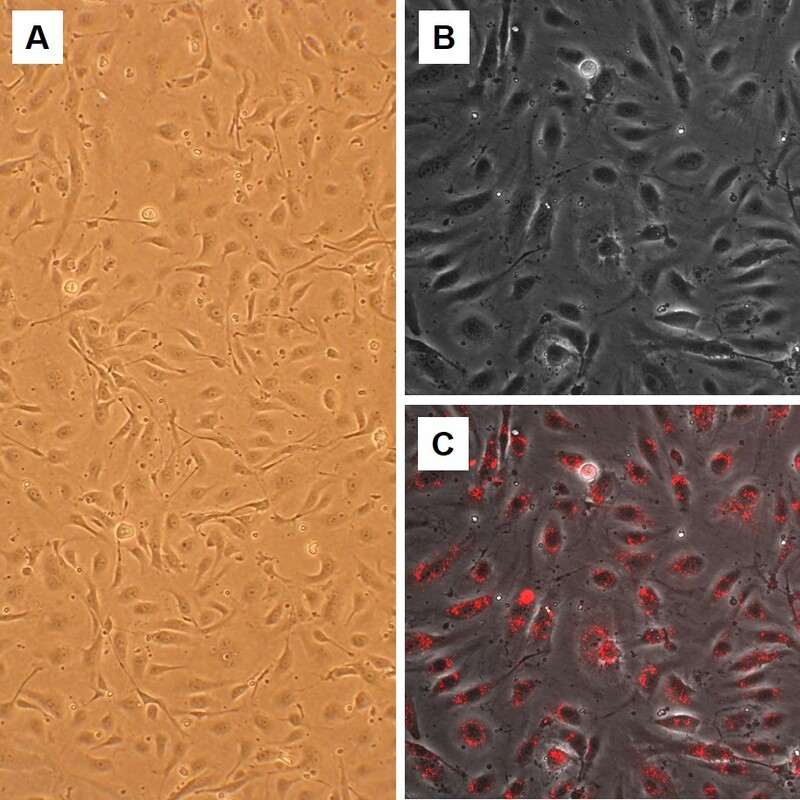 (Click to Enlarge) Human Femoral Artery Endothelial Cells: HFAEC (A), Phase (B) and Composite with DiI-Ac-LDL staining (C).